Florence Moore Auditorium. Staff Photo: Crystal Bai. In 2014, Head of School Than Healy revealed new plans for the future of Menlo’s campus to the student body. In this presentation, renderings were shown for the new cafeteria, student center and tech center that we now have after a year of construction from June 2016 to August 2017. In those renderings could be seen the front of the planned new performing arts center – which has yet to be built. With the departure of former Head of School Norm Colb and the arrival of current Head of School Healy, the school reexamined its priorities and launched something called a feasibility study to find out what was most important to Menlo families and donors at that moment. “The dining hall was priority number one. That had to happen right away,” Perez said. Among the other candidates were changes to Cartan field, and it was shown that the performing arts center was third on that list. 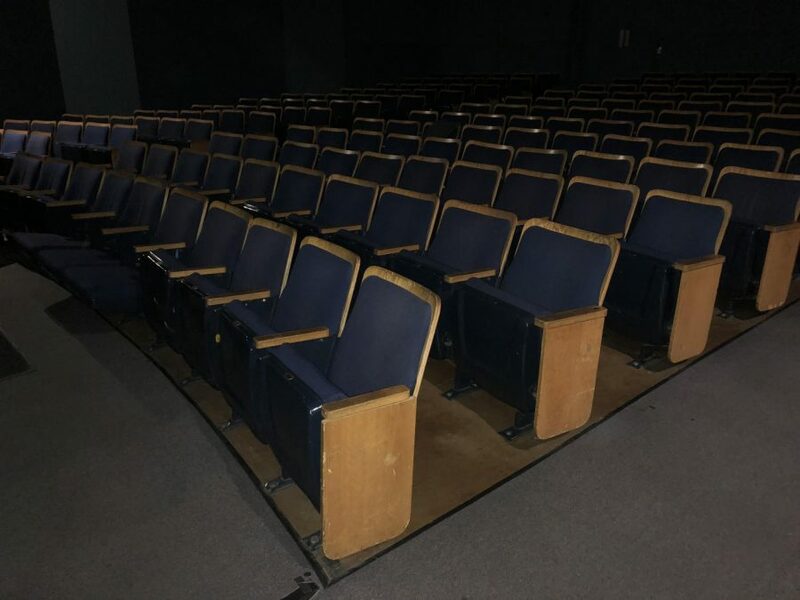 The conditional use permits, given to Menlo School by the city of Atherton as a go-ahead for the construction of the cafeteria and tech center, are still valid for a future performing arts center. However, Perez said that the conditional permits aren’t the permits needed to actually begin construction, and that the school has no immediate plans to file for such permits. “We’re being very careful not to promise that anything is going to happen [right now],” Perez said.